A New York Times story about a “modest” global tax mentions some of those supporting the idea but forgets an important one — the United Nations. At a Nov. 30 U.N.-sponsored conference in Washington, D.C., officials of the U.N. Development Program (UNDP) appeared on a panel endorsing the idea. The UNDP is supported by about $100 million in U.S. taxpayer money annually. The U.N. as a whole received $7.7 billion from American taxpayers last year. Olav Kjorven, Assistant Secretary-General and Director of the Bureau of Development Policy at UNDP, said that while U.S. taxpayers may not support the global tax idea, the French do. 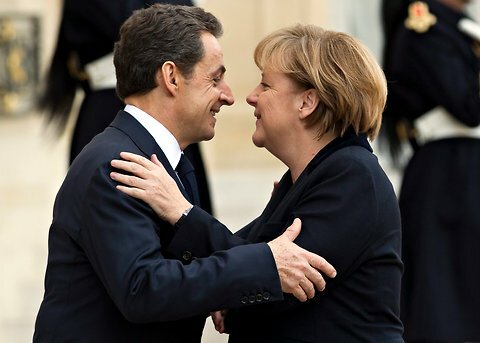 Indeed, French President Nicolas Sarkozy and German Chancellor Angela Merkel have proposed a financial transaction tax on the European Union in order to generate more bailout money for bankrupt European states. These and other exchanges with U.N. officials were captured in a video of the event. Alluding to an international IRS, U.N. official William Orme also said the imposition of the tax would require some kind of new global structure. In the past, Obama has backed international studies on the feasibility of implementing a global tax. But since the currency transaction tax proposals introduced by Democratic Rep. Peter DeFazio in the House and Sen. Tom Harkin in the Senate have very few co-sponsors, it is apparent that a major international financial crisis would be necessary to force such a measure through Congress. The original DeFazio co-sponsors were Reps. Bruce Braley, Hank Johnson, John Sarbanes, Bob Filner, Betty Sutton, Earl Blumenauer, Louise Slaughter, Mazie Hirono, Peter Welch, John Conyers, and Maurice Hinchey. The original Harkin co-sponsors were Senators Bernie Sanders (I-VT) and Sherrod Brown (D-OH). In the current crisis the International Monetary Fund (IMF) has already committed $353 billion to bailing out European governments. U.S. taxpayers provide approximately 17 percent of the IMF’s operations. Rep. Cathy McMorris Rodgers (R-WA) introduced H.R. 2313 to repeal the $8 billion increased quota and the $100 billion line of credit to the International Monetary Fund that were voted by the Democratic-controlled Congress in 2009. The idea of a global tax is being discussed at the U.N. Climate Change Conference taking place November 28-December 9 in Durban, South Africa. The U.N. wants the global tax to generate additional foreign aid, which under the Millennium Development Goals of the U.N. could amount to $845 billion from the U.S. alone. The paper could have added that supporters also include Fidel Castro and the Socialist International, among others. One list of supporters includes House Minority Leader Nancy Pelosi, the Soros-funded Center for American Progress, and former Obama official Van Jones. The Times said Gates had estimated the tax would bring in $48 billion. In fact, the Gates report says that such proposals could generate $100 billion to $250 billion per year. This is because once a “tiny” tax is implemented, it would be relatively easy to ratchet it up and take higher and higher percentages of money from the trillions of dollars exchanged daily in global financial markets. Any such tax would affect ordinary Americans with investment vehicles such as mutual funds and pension plans that engage in stock trades involving the movement of national currencies. The slant in favor of the tax is not surprising, given the fact that New York Times columnists Paul Krugman and Nicholas Kristof and The New York Times editorial board are listed as being in favor of it. Interestingly, the U.N. event moderator, Elizabeth Shogren, and one of the U.N. officials, William Orme, Chief of Communications & Publishing at the UNDP Human Development Report Office in New York, have both worked for the Los Angeles Times, a point Shogren noted in her remarks. Orme’s background in journalism, before he became a U.N. advocate and employee, also includes reporting on international affairs for The New York Times, The Washington Post, and The Economist. The Washington, D.C. event was for the purpose of discussing the UNDP’s 2011 Human Development Report, which includes several pages of discussion about how the tax should be promoted and implemented. Orme said that the report does not necessarily reflect the views of the UNDP itself. But he talked in positive terms about the tax. The report urges “massive new investments” through “innovative new sources” like the currency transaction tax and notes that the idea was included in the 1994 edition of the Human Development Report. Indeed, that Human Development Report went further, including an article by economist Jan Tinbergen calling for “world government” through a “strengthening of the U.N. system.” He also urged a “world police” with the ability to “subpoena nations” to appear before U.N courts. U.N. promotion of the global tax comes at a time when Rep. Ileana Ros-Lehtinen, chairman of the House Foreign Relations Committee, has introduced a bill, “The United Nations Transparency, Accountability, and Reform Act “ (H.R. 2829), to limit U.S. participation in some U.N. functions and start cutting back on this funding. It passed the committee by a 23-14 vote and currently has 141 co-sponsors. Secretary of State Hillary Clinton has recommended a veto of the bill if it passes the Congress.